Warmlite’s porch builders have been designing & building porches for over 25 years. We have been building porches in Surrey, Kingston, Twickenham, Wimbledon, Putneyand in South West London tailored to our customers’ homes. We understand the importance of your homes features and character and ensure that we create and build the best porch for your home. Your new porch will give you an extra layer of security at your front door and save you energy by insulating the entrance to your home. We offer the complete service from base building, the brickwork right down to fitting of the very best door and windows and roof. Customer service is of the utmost importance to us, you can rest assured that we will provide you with a stunning porch built to match and compliment your property. 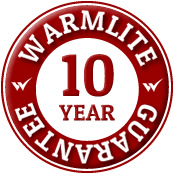 All Warmlite porches are covered by our 10 year guarantee. This gives you the peace of mind that in the unlikely event something should go wrong with your windows, you can get them fixed quickly and conveniently at no cost to you. For further information about our building a new porch for your home, a free site survey of your house or property with a no obligation quotation or to arrange an appointment.